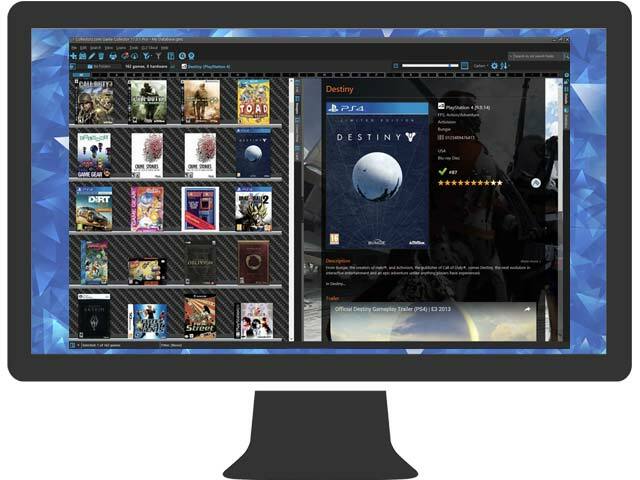 Store game data & images locally, optionally sync with our free CLZ Cloud storage. List, Images or Card View for your game lists. Different templates for the game details panel. Just search our online game database by title or by barcode. Select the game and edition you own. Full game details like title, platform, description. More information like genre, developer, publisher, release date, etc..
Cover art, back drop art and trailer videos. synchronize your game data to other computers and mobile devices. share your game list online, for friends and family (example). Export your game database to Text or XML files. Print game lists in any order, with your configurable columns. Anybody who has a collection of anything knows that the items themselves are only as cherished as the stories attached to them. For me, my video game collection (thanks to my current CLZ Games listing is 1,646 games and 26 hardware pieces) that I’ve been building for over 30 years leisurely has become a time machine, where the games connect me to specific points in my life and what’s been happening in the world around me. Starting with the Atari 2600 and Combat, and through Super Mario Party for the Nintendo Switch that I have preordered, my collection has become personified as an old friend who has been with me through it all, and always waits patiently for me to listen to one of it’s many stories. Thanks to Alwin for reminding me about something I haven’t considered as a story worth telling, which is how I’ve kept track of this ever growing collection of games. CLZ Games has become the definitive answer in what I’ve been searching for throughout the collecting... a simple visual way to keep track and show off the collection. Previous iterations have been my own feeble attempts through spreadsheets and photos, which never was either easy to understand or beautiful. Other early attempts were using a Palm 505 (my first electronic attempt at a workable database), and my favorite, a sandwich bag containing index cards. And, when I would forget to bring any of these items to a store, I would succumb to plain old memory, which in many cases resulted in trips back to the store to exchange the item that I already had in my collection. Many years ago, when I still knew a small bit about website-development (very small bit), I wanted to start my own archive of my owned video games in order to always be up-to-date when trying to get stuff on flea markets and avoid buying doubles. Unfortunately, my l33t skillz did not suffice and I was stuck with a very barebones homepage that I had to update manually for every single letter. It worked for a time, but I always wanted to have a tool to simplify that process, especially, since my collection grew disproportionally over time, so the time-consuming work on my own site soon stopped. Then, a couple of years ago I was made aware of your software by a fellow collector, and I was immediately smitten by CLZ. I am still in the middle of archiving all my games (especially since I can't get rid of the habit of having them with the exact cover as in my physical collection), I have started to utilize it for keeping track of digital purchases as well, and I love to have it on both my computer (for the actual work) and my mobile (for browsing whenever and wherever I might need it).